Aurivo Consumer Foods’ Organic For Us milk brand has been named the official dairy sponsor of the World Barista Championship 2016 and dairy partner of the sensory experience at ReCo Dublin. The partnership will see Organic For Us whole milk being used by the world’s top baristas throughout the events in the RDS from June 22-25. Speaking about the partnership, Lydia Rogers, Aurivo communications and brand manager said: “We are delighted to have been selected by World Coffee Events to be the exclusive dairy partner for the World Barista Championships and ReCo as these prestigious events come to Dublin for the first time. Ireland is developing a really vibrant coffee culture and our Organic for Us brand is the natural partner for coffee connoisseurs— It’s a multi-award winning, real quality brand; and most importantly it’s adored by some of the very best baristas in the country”. Last year’s event was held in Seattle, WA and played host to innovation from the world’s best baristas. This year’s championship promises to be no different with thousands expected to attend the four-day event in Dublin and a global online audience. The very best baristas from 56 nations worldwide, including Brazil, Canada, Colombia, Iceland, Singapore, Australia and many more, will descend on Dublin for the four-day event. They will be judged by WCE certified judges from around the world and are evaluated on the taste of beverages served, cleanliness, creativity, technical skill and overall presentation. 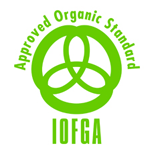 Organic for Us milk is produced by Aurivo Consumer Foods in Killygordon, County Donegal. There are no artificial pesticides, no fertilisers and no harmful chemicals used in its farming methods. 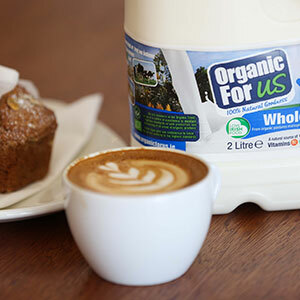 Organic for Us milk has become the milk of coffee lovers and is currently the brand of choice for many premium coffee houses, high end restaurants and cafes because of its quality, taste and consistency.